Splendour eye: Secure your facebook account from hackers ! 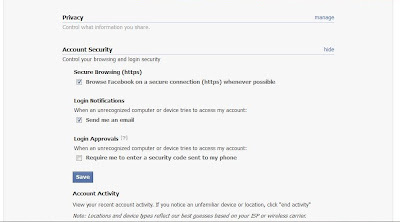 Secure your facebook account from hackers ! It is good to be on facebook, stay connected with friends, share photos, videos, status updates and all. Now you will have lot of information about yourself on facebook, we can even consider your facebook profile as virtual you !! So how prepared are you if someone challenge your virtual identity ? Is your facebook account safe from hacking ? or do you feel your account is secure than your friends' one ? Now you are in confusion why am I throwing whole lot of questions at you !! but imagine what can you do if your account has been hacked now ? Here are a few simple tips to secure your facebook account from hackers and hacking. > Never ever share your facebook account password, even with your friends. > Don't use same password for both your facebook and email account, this is the most common mistake done by many people. > Change your password once in three months atleast and don't use common dictionary terms as password. > Add and verify your mobile number to your facebook account. This helps you in numerous way to get back the access to your account in case of lost password or if your account is hacked. 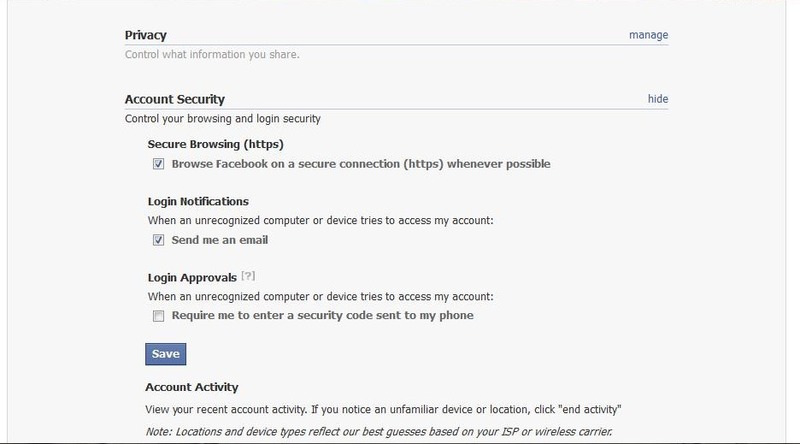 > Under account security, check the box before "Browse Facebook on a secure connection (https) whenever possible". > Under account security, check the box before "When an unrecognized computer or device tries to access my account: Send me an email". > Under account security, check the box before "When an unrecognized computer or device tries to access my account: Require me to enter a security code sent to my phone". > If you find someone logged in to your account or find any suspicious activity, change password as soon as possible. After following all these steps, I guarantee that you won't feel insecure anymore. Sultan Kosen - The Tallest man in the World [Living] ! Apple's Mac now with OS X Lion & Thunderbolt I/O ! Beware of phishing on Twitter and Facebook ! Use tinyURL's Preview Feature to secure your Twitter Account ! Turn your facebook profile into a printed book !! Best Yahoo! Mail ever is here !! Your little help can change the World ! Ban live exports of cattle ! Fight over noise on Twitter ! © 2015 SplendourEye. Simple theme. Powered by Blogger.